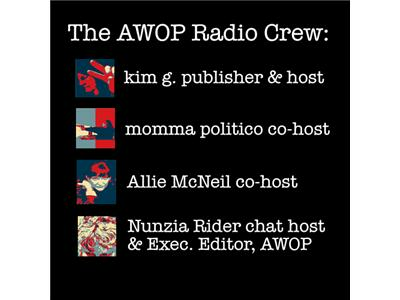 If you liked this show, you should follow AWOP Radio. We have a huge show coming up this Sunday! 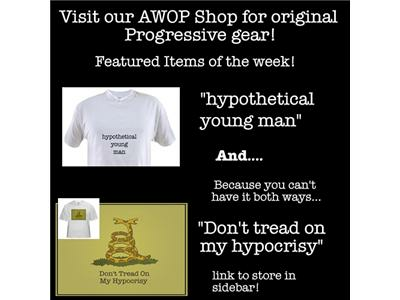 Which also happens to be my 50th birthday. Wendell Potter, Whistle blower and author of the book Deadly Spin. Lucinida Marshall The Pre-existing Pundit. Vanessa Beck is the new Director of Organizing at Healthcare-now.org. 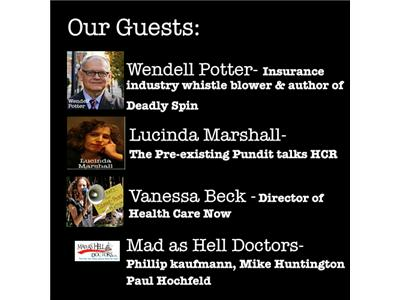 We finish off the night with a roundtable discussion with Mad as Hell Doctors, Phillip Kaufmann, Mike Huntington and Paul Hochfeld. 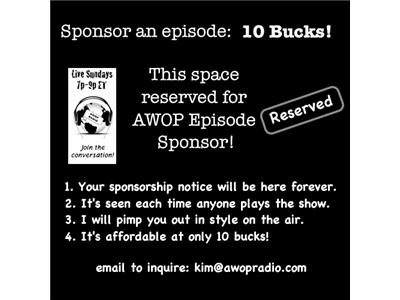 Hit the AWOP Shop and support the show!